Our comprehensive range of financial and business support services and advice has helped many of our clients to grow and develop their businesses over the years. We work closely with a number of local bookkeepers. If you would like to outsource your bookkeeping work to allow you to concentrate more on your business we can advise and assist in facilitating this process. We can provide monthly payroll services, dealing with PAYE, NIC, Statutory Sick Pay, Statutory Maternity Pay, Student Loans and making all Real Time Information returns to HM Revenue and Customs. 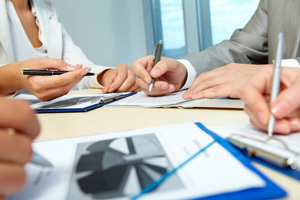 We provide a range of personal tax compliance and planning services.